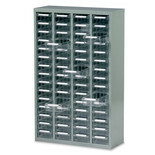 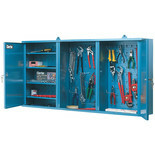 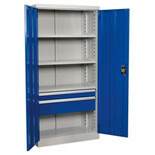 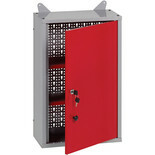 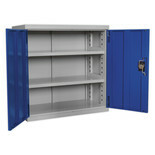 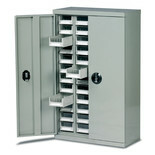 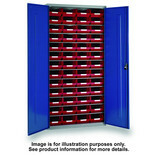 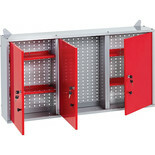 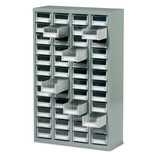 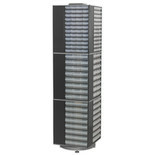 A strong steel constructed wall cabinet with three storage compartments with lockable doors. 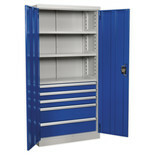 Two compartments each have 2 adjustable shelves for versatile storage. 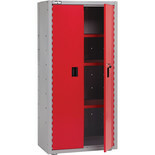 A strong steel constructed wall cabinet with one lockable door and 2 adjustable shelves for versatile storage. 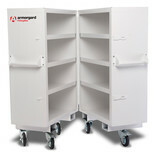 The Armorgard FC5 has been designed with ergonomic pull along handles and is constructed out of 1.5 and 2mm steel. 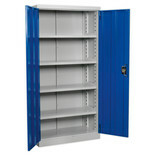 2 x clasps with padlock points, 6 x 6-inch castors (2 braked) and 6 welded shelves.